At the tender age of 15, Yvon Cassivi joined the Canadian Armed Forces, at so young an age that his mother had to write him a note giving her consent. For the first two years of Yvon’s Army experience, trades training in all manner of construction areas (such as plumbing, drafting, and electrical) was followed by military training in the afternoon. Craving an ‘adventure at the end of the world’, young Yvon was shown a Canadian map and chose the Chilliwack base, as it was the furthest from his native Quebec. Married at age 20 to his sweetheart Francine, who spoke little English at the time, Yvon brought his new wife with him to Germany, where Yvon served as combat engineer during the Cold War. After a brief stint as a brakesman for CP Rail, Yvon returned to the Armed Forces in 1967, where he climbed the ranks to Master Warrant Officer. 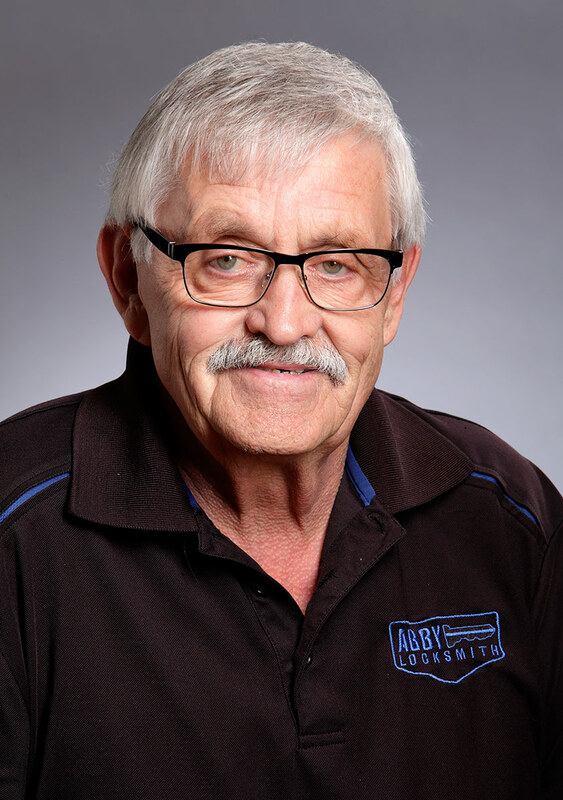 In 1981, Yvon reentered the private sector, working as a natural gas pipeline inspector in Quebec and the Maritimes. 1984 found Yvon and Francine back in BC, where Yvon launched MSA Building Maintenance (with the tagline ‘one call does it all’), drawing upon his early trades experience in the military, and applying these skills to building management and maintenance. Yvon began to offer locksmith services along with his other building maintenance services, and fairly quickly, he knew that locksmithing was the focus that gratified him most. Abby Locksmith was born. If he’s not at the shop, you are fairly sure to catch Yvon at a local golf green, or regularly saving his exotic Savannah cat ‘Georgia’ from a self-imposed predicament!